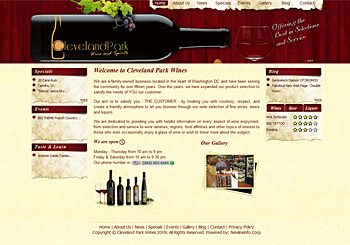 Cleveland Park wines website describes about the wine shop where wide selection of wines made from many grape varieties and areas of wine production .The goal is to create a friendly atmosphere to let you browse through our wide selections of wines and beers. We don't like to push you to buy what we like to sell, but work with you to help you make a selection based on your needs. We will gladly help you pick a suitable wine to pair with the type of food you are cooking. Quality, Affordable HD Footage for the Creative. 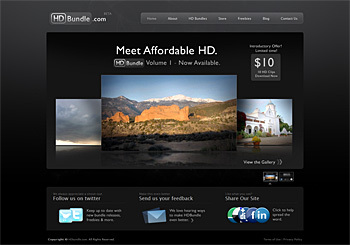 Our site sells HD footage in bundles at extremely low prices to all who are creative. We hope to become a powerhouse in bringing affordable HD footage to tons of talented people across the world. Maridarte is a wine lover's social network. 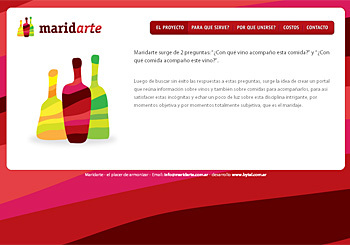 It's based on the spanish word Maridaje, wich is the art of combining wine and food. Maridarte is the mixture of the word Maridaje and Art. 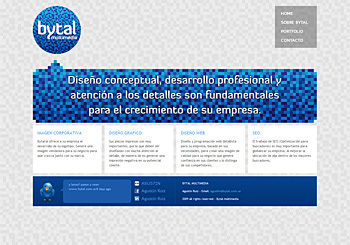 Bytal is the graphic and web design portfolio of Agustin Ruiz, designer from Mendoza, Argentina. 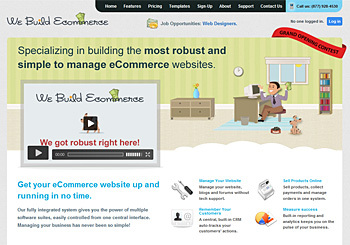 We Build Ecommerce specializes in building the most robust and simple to manage eCommerce websites. 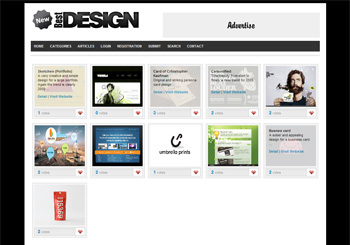 They are always creating innovative design templates that exceed their clients' expectations. 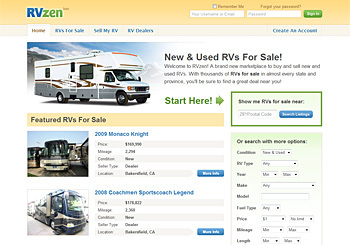 Their back-end eCommerce software is one of the best in the industry providing business owners with amazing flexibility and a rich user experience. 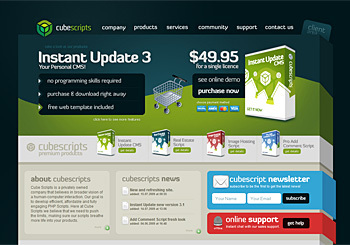 Cube Scripts is a privately owned company that believes in broader vision of a human-computer interaction. 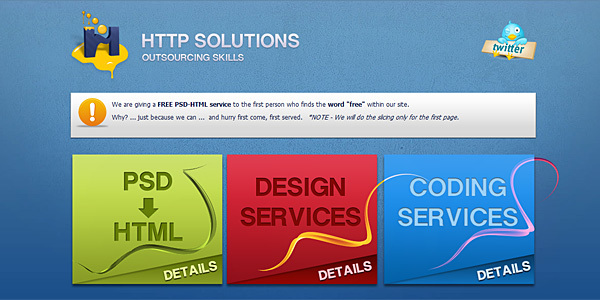 Our goal is to develop efficient, affordable and fully engaging PHP Scripts. 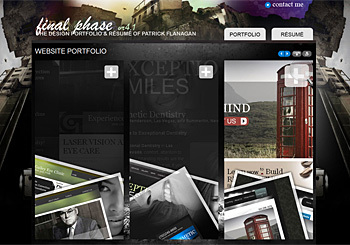 Final Phase is the online Resume and Portfolio of Patrick Flanagan. 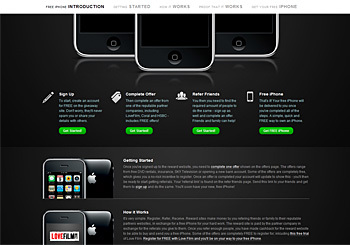 The design was created using the 960 grid framework and meets the W3C validation standards for xHTML 1.1 strict and CSS 2.1. If I had to describe the design to someone one, I would call it clean grunge. It has a dirty look yet maintains a solid sense of profesionalism. 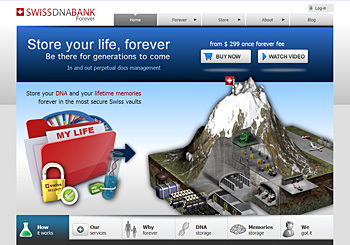 Swiss DNA Bank provides a unique Forever and secure data storage service combined with user's DNA sample storage (we provide a specimen kit). Our servers are located in a nuclear shelter embedded in the Swiss Alps users can connect to thanks to our web application. Safety is our top priority, so all our subscribers receive a one-time access code generator device, the size of a credit card, for extra safe access. 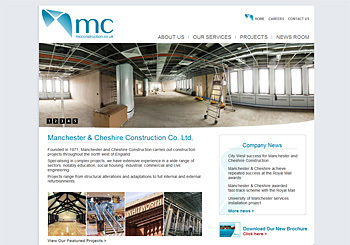 Please take a moment to check out our web site. 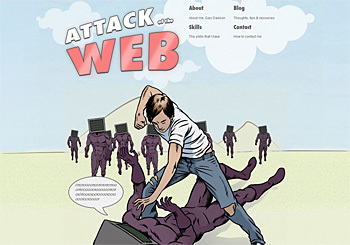 I am Nahid, I developed and designed antsmagazine.com. 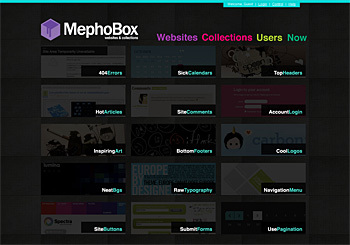 It is a design and a tech blog, we constantly update fresh and useful resources for web designers and developers. Please let me know if you can showcase my blog! 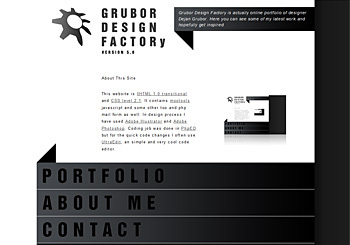 An online portfolio of designer Dejan Grubor. 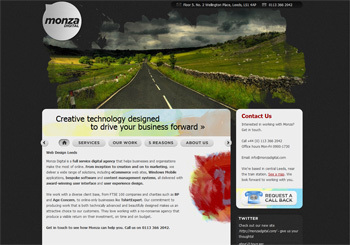 Monza Digital is a small web agency in Leeds, UK. Monza specialise in app development with beautiful front-end design, and have a varied range of global clients including BP and Age Concern. 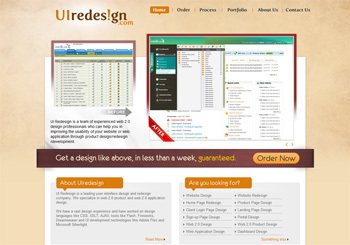 UI Redesign is a team of experienced web 2.0 design professionals who can help you in improving the usability of your website or web application through product design/redesign/development. 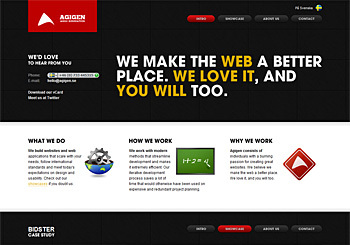 We have a vast design experience and have worked on design languages like CSS, XSLT, AJAX; tools like Flash, Fireworks, Dreamweaver and UI development technologies like Adobe Flex and Microsoft Silverlight. 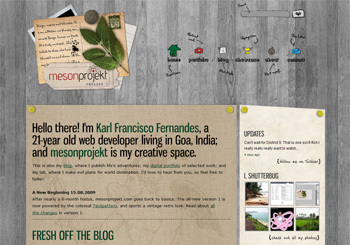 mesonprojekt is the creative space of Karl Francisco Fernandes, a web developer living in Goa, India. 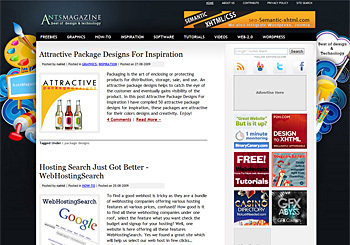 This is a catalog of inspiration, a place where you will find plenty of material for inspiration, from logos, tutorials, web pages and many other things related to the design. It's time to go into inspiration. You are all cordially invited to show their designs and their favorite designers and artists. 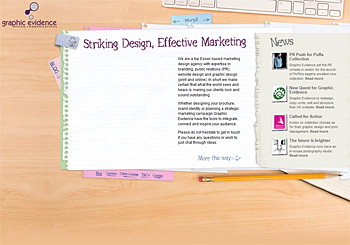 Since Graphic Evidence’s conception in 2003, the company has blossomed into a design communications agency that produces innovative marketing for some of the UK’s most famous and exciting brands. We’ve been busy rebranding a high profile sports charity, a well-loved 100 year old British manufacturer, helping publicise the launch of the world’s largest cruise ship, assisting the government in promoting environmental initiatives, publishing the first global magazine devoted to encouraging wellbeing through architecture and creating PR campaigns for a PLC with a turnover of over £150m; and we’re just getting warmed up! 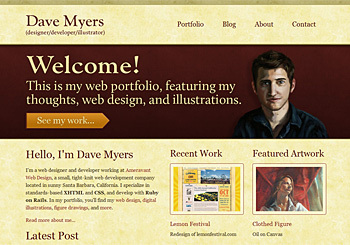 Design and illustration portfolio of Dave Myers. 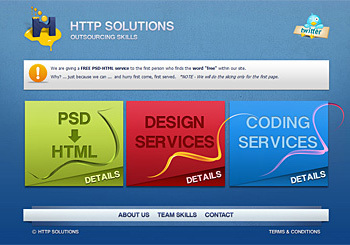 HTTP Solutions is a web based creative studio, specializing in graphic design, corporate style development, web design & programming. 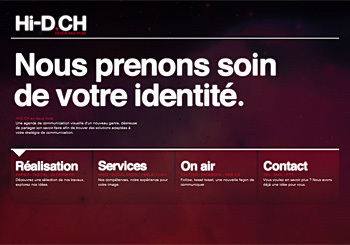 Our main goal is to deliver valuable and innovative solutions for our clients worldwide. 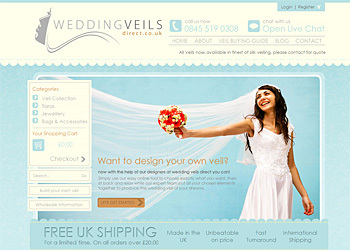 Designer ranges of wedding veils or build your own.